I have to admit, I go through a roller coaster of emotions every time I have to get my hair colored at a salon. I’m excited and nervous, restless and ready. Even if it’s usually some sort of my usual ombré/balayage situation, there are different tones that makes the look different every time. I was starting to get used to my darker hue when I was invited to check out Cutler Salon in SoHo to go blonder (*gulp) in honor of their amazing line of Blonde Idol products (more on this later). 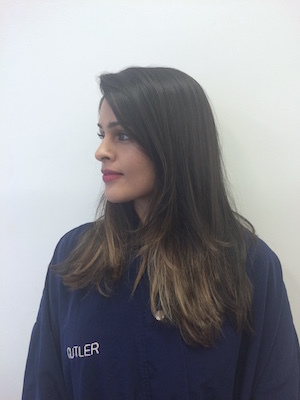 Now I didn’t want to go full on blonde, because *babysteps* so when I met colorist Chiala Marvici at the buzzy downtown salon, I came armed with ten pictures (mostly Lily Aldridge because she’s the color queen in my book). 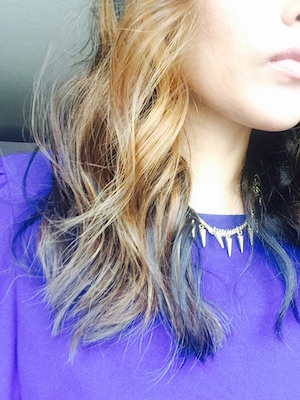 I told her I wanted my hair dark on top with a little bit of a gradient that lead to honey-colored ends. Marvisi took a look and went right to work bleaching strips in my hair. After an hour, she took me back to the sink and said we can probably skip the toner, but once we started drying my hair, my hair was super-woah-BLONDE. Instead of scheduling another appointment, Marvisi suggested we tone it down (literally). 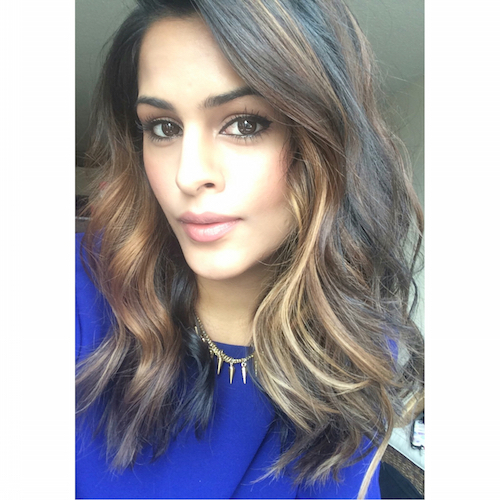 She concocted a mix of a honey-brown toner right away and applied it again. I always find when I color my hair I need a couple days to settle into the new color, and this time was no exception. Now a few days later, I love the change, and the lighter ends were exactly when I wanted. I’ve gotten so many compliments on the lighter strands already. It turned out to be the perfect summer style. It says a lot when your colorist can pretty much predict how the color will settle in in the days to come, and though initially I wasn’t sure about it myself, Marvisi ended up getting this right on the money. To keep the blonde game strong, I’ve been using Redken’s Blonde Idol Shampoo and Conditioner. I’ve never used blonde products before, but right away I could tell my hair was so much shinier (and it doesn’t have sulfates which I’m getting more and more pickier about in my shampoos). 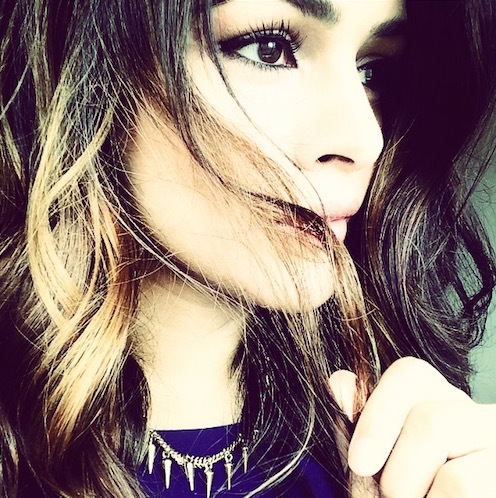 The Custom-Tone color-depositing conditioner is the standout to me though. It comes in dual chamber and there are two variations — one with a violet toner for platinum/cooler blondes (they say if you describe you hair as “Platinum, Lavender, Violet Pastel, Icy, Beige, Ash and would like to neutralize any brassiness to preserve cool, blonde hair”), and one with a gold one for warmer blonde (“If you describe your haircolor as: Rose Gold, Light to Dark Golden, Sun-Kissed, Strawberry Blonde, Caramel, Rich Toffee, or Honey and would like to maintain or refine your warm tone”…and since my tips were now golden, this was my go-to). The top of the conditioner comes with a dial, where you start from “Week 1″ and dial up every week. Depending on what week, that’s how much color the conditioner pumps out. Genius, right? Anyone thinking of coloring their hair for the summer? 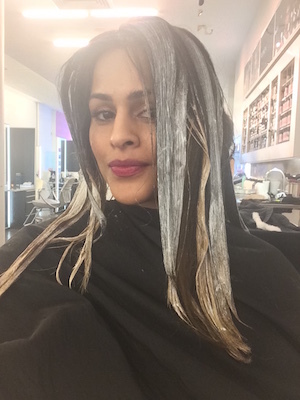 Let me know if you’re going lighter too! 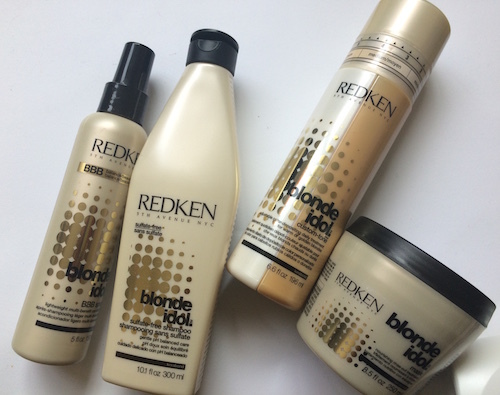 To try purchase Redken’s Blonde Idol line in NYC, click here.